Welcome to Rendezvous on the New River! Hike down to the common area for fishing and relaxing by the river. Over 400 sq. foot covered porch. Tucked in the woods with hot tub. Fully equipped, gourmet kitchen with stainless appliances and granite counter tops. Bar seating for 3. Great room with gas burning fireplace. Lots of comfy furnishings and a wall of windows to enjoy the mountain setting. Great room - queen size sleeper sofa. Another wall of windows and reading nook. Private Master Bath with Double Vanities. Shared bath with walk in shower. Lots of outdoor seating areas. Hike to the river for fishing and relaxing. Lots of walking / hiking trails in the community. View towards river, marked hiking trails. Propane grill and lots of outdoor seating areas. View from hot tub area, outdoor dining for 6. Enjoy one level living and an open floor plan warmed by a modern day gas-burning fireplace. A wall of windows showcases the natural flora and river views - take in the Blue Ridge beauty without leaving the sofa! The living space extends to the massive covered porch, our favorite spot for an afternoon BBQ. The kitchen lets you cook like you're at home with a full selection of pots, pans, dishes, glassware and more. Find fresh, locally grown dinner ingredients at the West Jefferson Farmers Market (10 minutes away). Enjoy your family feast indoors or outdoors both areas each offer seating for 6 people. "My daughter/husband and I spent a weekend at Rendezvous in the River in February. The home is a beautiful building, sitting on a trees lot above the New River. The furnishings were nice, the kitchen was well stocked with everything you need to cook, and the beds were comfortable. There is a gorgeous covered porch with a hot tub. The town of West Jefferson is very close and has very good restaurants. When we ate/drank in town, we were not disappointed. I look forward to another stay at Rendezvous on the River and would recommend it." "Great place, beautiful views, responsive owners. Everything you need for a quiet get away! We will definitely be coming back!!" "Everything was clean and wonderful"
"Our experience was excellent. Rendezvous was one of the best NC mountain homes we have ever stayed in. The outdoor living space was the best! Also very convenient to the awesome town of West Jefferson." "This rental was very well appointed and immaculate. If a pet ever stayed here you would never know it. Owners are a stones throw away and very welcoming and engaging without being intrusive. Great sleeping beds. You can feel like you are up in a tree house. Great spot for fishing. We will be back." "Had a great stay over an extended weekend trip. Very peaceful and quiet. Close to West Jefferson, NC, which is a lovely little town nestled in the mountains. The owners were very swift and courteous when we needed some assistance. Had a ton of fun!" "This is our second stay and the place is just amazing and comfy. Safe for children, relaxing and peaceful. We made lovely memories since we meet this outstanding spot! We will be back, love Denys, Angelica and Vincent "
"Certainly out of the way but that was a positive thing. Cabin was very clean, comfortable and well appointed. Area was quiet. Unfortunately, many full trees blocked the view of the river. Deck was very large and comfortable. It was obvious no shortcuts were made in anything. Hike to the river was challenging in parts due to water runoff and a little steep in areas. Fun hike though. Kitchen stocked well with utensils & cookware." "Great location. Close to West Jefferson & Boone, West Jefferson being my favorite. Quiet, clean and well stocked cabin. Very private, no street noise..only the critters. Comfortable bed. Loved the big porch. Cannot wait for my return trip. We will be going back to this cabin over and over. Best cabin we have EVER stayed in." "We rented this house for a week and loved it!! The house is beautiful and the location could not have been better. It is very secluded and privacy is not a problem. The outdoor area really makes this house. We spent most of our time outside and never turned the tv on. When we checked in there was a broken bed and Michelle went above and beyond getting a new bed delivered. We will definitely be booking again." "Not a man of many words. We absolutely enjoyed our stay.will definitely come back. Was all we thought it would be and more. Felt the owners went above and beyond." "Love this cabin. Beautifully decorated, well stocked. The owner is very sweet. I have stayed in a lot of cabins in the mountains over the years and will return to this one again and again. " "no estaba muy limpio y nos vigilavan todo el tiempo hasta nos fueron a decir que no agarraramos las lanchas no nos sentimos comodos para nada "
From the owner: Please read the other 44 reviews, which all mention the cleanliness and the warmth of the owners. We had friends in the other rental causing more foot traffic than normal between our home and the far cabin (this cabin is in the middle). We respect our renters? privacy and have even installed remote doorbells so we don?t have to go on the porch to touch base. Our friends who were visiting are from Puerto Rico, and made a point of saying hello to these folks. Reviews work both ways ? after these renters left, the cabin required an extra 90 minutes to clean (normally only 2 hours), and the hot tub had to be drained, cleaned and refilled. The kayaks are not for rental use due to insurance liability. "The house was exactly what we needed. Quiet, private, comfortable, relaxing and superb space. We almost didn't want to leave to explore. We really enjoyed the outdoor living space! The entire experience was wonderful. Hosts were on point! Thanks!" Thank you for the amazing review! You are spot on, this is one of many that offers the entire mountain vacation experience! "My wife and I came out for 5 nights and really enjoyed staying here. The owners were very helpful and everything was better than advertised. Short walk down to the river where there is a place to have a campfire, have a picnic, or just sit by the river and relax. The place was clean and well equipped with everything you could need. Glad we brought a 4 wheel drive vehicle as the road wouldve made it a little rough for 2 wheel drive. Definitely would come back." "My husband, Frenchie and had a great 4 day vacation at the cabin. It is decorated so beautiful. You can stand or sit at almost any window and watch a variety of birds. The kitchen has everything you need. And I can not stop talking about the porch. A beautiful place to sit and enjoy the outside. " "My husband, myself & our dog had a wonderful stay at the Rendezvous. The property was perfectly located a few miles out of the very friendly town of W. Jefferson, yet close enough to pick up anything we needed. The home was clean & was tastefully decorated. Michelle lives nearby so any questions or concerns could be addressed promptly. We enjoyed our quiet stay away from our noisy busy daily lives. The only thing we heard were birds & the river. The outdoor living area & wall to wall windows indoors, allowed us to enjoy the natural setting all day long. "My husband, myself, and another couple recently spent a week at Rendezvous at the River. Owner welcomed us the day we arrived. The property was exactly as advertised. Clean and ready for visitors wanting a quiet place to relax after a busy day. Birdwatchers delight! Cardinals, woodpeckers, goldfinch, etc. The next time we are in the area, couldn't imagine staying anywhere else! " "Well appointed vacation home - had all the basics and amenities needed for a relaxing vacation. " "Very nice accommodations. Loved all the windows. Such a nice view. All the amenities and quite lovely area. " "This house was everything we wanted and more. It was clean and updated. Everything inside is new and in great condition. The hot tub was clean as well and a perfect addition to our weekend. Close enough to a cute little DT shopping area with great food. the owners accommodated us with our stay as well. We will be returning"
"We were there for only the weekend the layout is perfect for a couple looking to get away and the place has obviously recently been renovated and was done so very well. Look forward to going back when the weather is warmer and we can spend more time outside"
"Really enjoyed my peaceful time at this Cabin - it is cute as a button and the outdoor living space was perfect. The location is very convenient to West Jefferson and Boone. Can't wait to come back in the Spring!" "Our vacation rental experience was as relaxing, wonderful, and overall as enjoyable as it was advertised it would be. I and my wife vacation a lot. The venues we visit would best be described as eclectic. This property was one of the best. We met the owner. Truly a super person. The rental staff were efficient and quite personable. They treated us just as if they had known us a long time. Stay and enjoy. I am a retired Marine. So that's an order. Semper fi. D&D"
"Very beautiful views and ambiance in the tree tops. Enjoyed the sounds of the river down below. Close to town and attractions which was excellent since it poured." "The house was beautiful and exactly how it was advertised. Loved the outside covered deck! Great view of the river.Will definitely come back." " This beautifully appointed cottage greatly exceeded ourg expectations. The porch was a huge reason we chose the place and was where we spent the majority of our time. It had everything we needed and was just the perfect size for our quiet retreat. It was light, spacious and had a very pleasing color scheme throughout the house. The furniture and beds were more than comfortable. I look forward to our return to Rendezvous at the River!" "Just wanted to visit high country area and escape from heat wave. Overall very nice place to visit. We enjoyed our stay and the real testimonial is we would be repeat customer for this property. "Our stay was wonderful. Very peaceful and quiet. We loved West Jefferson. Thank you Michelle and Jack. Great hospitality ! We will be back for sure." "The cabin was so beautiful! The bed was comfy and everything was really clean. The porch was so nice with the hot tub. I honestly wish we could have stayed longer. The owners were so sweet and helpful. " "We lucked up on this one. We had made plans to get away on the the spur of the moment and just luckily ran across this gem and it was available for our dates. We drove up ahead of our husbands, my friend and I and when we got there we were completely in love with the place. Our husbands were very impressed as well when they arrived. It was hard to get them to leave.The house is absolutely perfect. It was just us two couples. We were just looking for some down time and a little peace and quiet from our busy lives. Well, this place was perfect. The house is decorated beautifully and our most favorite part was the porch. It has a large sitting area with great comfy furniture and a hot tub. At night there is no noise, just the crickets and birds. The owner was available for any questions and extremely polite. We definitely hit the jackpot when we found this house. We would love to go back and hopefully will be able to soon. Could not have been more pleased with the whole experience. Such a beautiful place to visit. Highly recommend this if you want to totally relax. " "We had a wonderful 4 days at Rendezvous at the River. Very clean, comfortable, and feels right at home. The house had everything we needed to relax, cook a meal, enjoy the outdoors, and have some peace and quiet. The owner, Michelle, was very attentive. She even went out to buy us a DVD player because the home didn't have one! Very close to Weat Jefferson and Boone. We will definitely stay here again!" "The home is beautiful and spotless. I have rented multiple properties and I have never stayed anywhere with more amenities or attention to detail. " 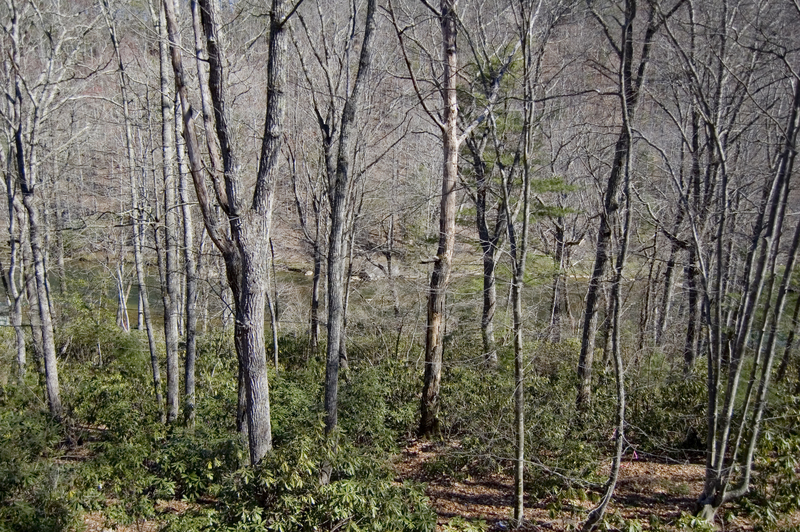 "Great location between Boone and Blowing Rock. Secluded and quiet. "The house was clean. The pictures on the site were accurate but did not do the outside deck area justice! The outside area was a great space (very large) to relax, eat meals, and listen to the river below. The sofas and seating throughout were comfortable and the appliances were up-to-date. We enjoyed our stay and would stay here again." 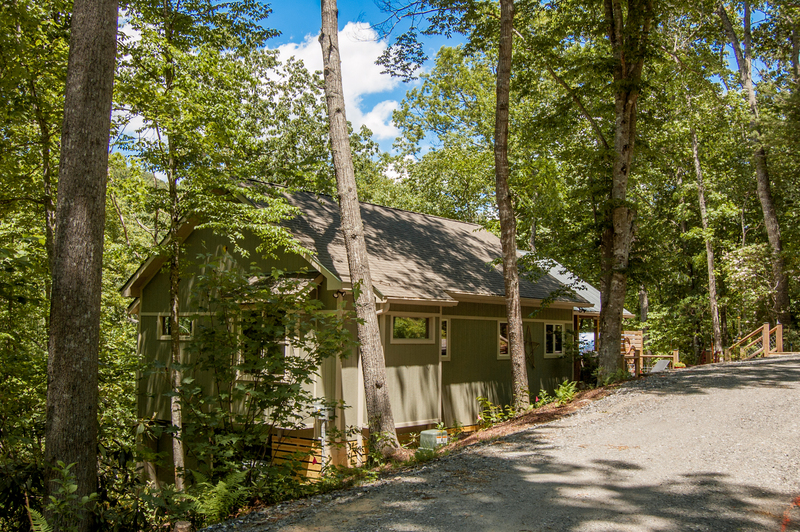 "We had a wonderful time at this beautiful 2BR cabin near West Jefferson. The hike along the river was really pretty, and the cabin had great comfortable beds, a fully stocked kitchen, and lots of room to relax. It was really a wonderful place to stay for the weekend!" "I hesitate to review because I want to keep this place a secret! Perfect cabin from beginning to end. Kitchen is stocked! Porch is just fantastic! Beds are so comfy! Super close to town. Drive up was just fine. We will be back VERY soon. " "We loved it!The people that own the place were super friendly and helpful.The house was clean and it was just nice and perfect.The porch was amazing!The trail was very easy to get to the river and our kids enjoyed playing in the river.We will be renting from them again in the future!" "Everything was great. Location remote but close to town. Accommodations have everything. " "Had such an amazing time on our weekend getaway. This cabin was just what the dr ordered for a relaxing weekend. Not only was this home beautiful inside and out it was fully furnished with everything you could ever need on a relaxing vacation. This rental wasn't like your usual rental it was furnish with the best hi end furnishings, right down to the Serta pillows that slept so well. The walk down to the river was a beautiful little path through the woods where we enjoys some fishing. The outside deck and hot tub were awesome. Can't wait to go back! " "Most adorable cottage and felt like home, wish we'd have more time. The owners are so welcoming and been there for us any time we had questions or needed some extra food( it was an onion in our case:) they even sent us our son's mitten that we lost at the cottage. Big Thank You:) we'll be back! " "Beautiful place. The weather was too cold to use the outside deck unfortunately. And we are more used to staying higher in the mountains. But cabin was very private and luxurious. Overall highly recommend!" "Location was good, however a note that 4WD is needed for weather conditions would be helpful. " "Beautiful house in a perfect location. Was able to pack a lot into a short weekend. All the amenities one could ask for, in a well planned home. Would definitely plan another trip!" "This is a brand-new home... It's spotless and has such well-considered decor and ameneties. Bed was SO comfortable. Top of the line appliances (except a better toaster oven would be great); also a spectacular deck with comfortable seating and a nice, clean hot tub where you can look up to the stars. (We liked the deck layout so much we took pictures to try to model it on our house!) The view of the New River was lovely, and you can hear the water flowing by--so calming. The quiet neighborhood has a lot of gravel roads to walk and explore; the only downside is we found no clear trail from the house to the river, nor an entry point (put-in) to the water. The homes below all have private entries to the river with No Trespassing signs, so even if you just want to sit and put your toes in we didn't find a spot to do that. Next time we'll just look harder! One note: the parking is just alongside the road, right next to a sort of trench, so if you have a wide SUV you might not fit. Also the entry to the house may not be easy for someone unsteady on their feet. It suited us well though, and we'd definitely come back. Fabulous property. " Thank you for letting us know you could not find the trail. There are pointer signs along the road but we'll work to make it more clear for future guests. Additional parking and turn around spot being added summer 2017. 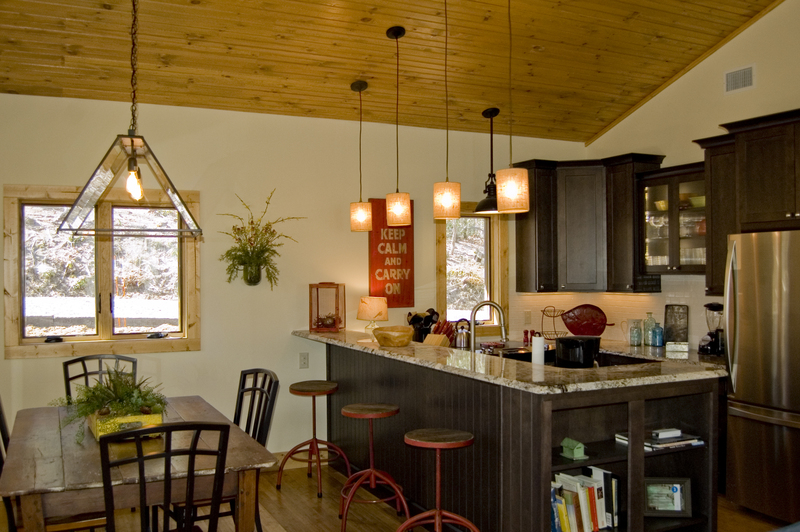 "Cabin is beautiful, clean, relaxing. Everything about it was just about perfect. Outdoor space if fabulous. We will be returning. " Thank you for your response. We are glad that you enjoyed yourself and were able to relax. Thank you for staying with us and we will see you soon! "We were looking for a short getaway in the mountains away from home and stumbled upon this cabin online. I instantly fell in love with it, and for good reason! Once we arrived at the property it looked exactly as it did in the pictures. This home was clean, tastefully decorated, and had everything we needed for two families of 3 to stay for 4 days. We put the grill, hot tub, fire pit, fireplace, and kitchen to use while we stayed and everything worked great! We are already looking forward to our next stay!!! " Thank you for your response. We are happy that you enjoyed your short getaway in the mountains. Thank you for staying with us and we hope to see you soon! "We had a relaxing time even with the Kids . House was very new and Clean with everything one would need . Owners are very close by shall you need anything ,really too close to be called private . Probably more private in the summer rather than the fall and winter .Cabin is low on the hill so don't expect any mtn views so too speak. Overall we had A nice stay . I would recommend putting the privacy fence that is by the hot tub on the side it is needed ! " The owners want to assure all guests that because of the wooded lot in between even in winter they can't see guests on the porch or in the hot tub. Privacy screening has now been added around the hot tub. "The cabin was very nice,comfortable and extremely clean.The setting was very relaxing but the river access was difficult and the parking wasn't very good. The cabin is located close to downtown West Jefferson which is exactly what we were looking for. " Thank you for your response. The owners will be adding a parking and turn around spot this summer 2017. "My husband and I celebrated our first year anniversary as we were married near the New River not far from here. The house is newly constructed and extremely private, except for the house the owners live in just through some woods. The photos capture it well. The highlight is the porch. It is the best place to curl up and have coffee while listening to nature. The hot tub is also in a prime spot for relaxation. The decor is beautiful-- so many thoughtful touches. I tagged the house on my Facebook and a friend booked it immediately. The only issue I had was the description of the river's distance from the house. You could see it a bit from the porch, but through dense trees. To get down to it was a 10 to 15 min hike. The access was slightly wild and there wasn't a good spot to do much other than just plunge right in. We braved it and enjoyed a beautiful secluded area of chilly water to fish in. The drive is pretty steep in some spots so I'd imagine 4wd would be needed in winter. Overall, a gorgeous house. I highly recommend it. " "A gorgeous house in a beautiful setting. Everything was great--very impressive!!" "I travel to the mountains frequently and I must say that this place was phenomenal. This place has everything you need for cooking and cleaning. VERY CLEAN AND VERY COZY!!!! I cant stress how well kept and clean this place is. Great location for any of the Tourist attractions near-by. We were going to Tweetsie RR. The kids had a blast and could fish since there is Access to the River. Even a few nice spots for some great photo ops on the river. The Porch at night is amazing and there were No bugs and no Bites! After a long hike the Hot Tub was a nice way to relax. Great family time and room for us to eat outside and inside. The Management Staff were also amazing and made sure we had everything we needed. From cooking / grilling utensils tot he cooking appliances everything is New and Ready to be used. I WILL BE GOING BACK! I strongly recommend this place to anyone who is looking for family or couple time in a home away from home! Take my advise and BOOK! You will not regret it. " "Looking for a place to get away? You need to be here. Just minutes off the main road you feel like your deep in the woods. But, you can get to the grocery in 10 minutes! And the quality of these accommodations goes above and beyond just a rental. Jack and Michelle have put a lot of heart into this. Everything is top notch. I can only imagine how beautiful it would be when the leaves change. " "This was a very beautiful house with a gorgeous view of the river. It is surrounded by woods with the sound of birds and the relaxing music of the flowing river below. The porch makes it easy to enjoy the outdoors." "From the beginning to the end we enjoyed every moment at this home. The attention to detail, warmth of the decor, and the setting are awesome! The porch provided room for our extended family to grill, use the hot tub, & relax! Just hated for the weekend to end??" 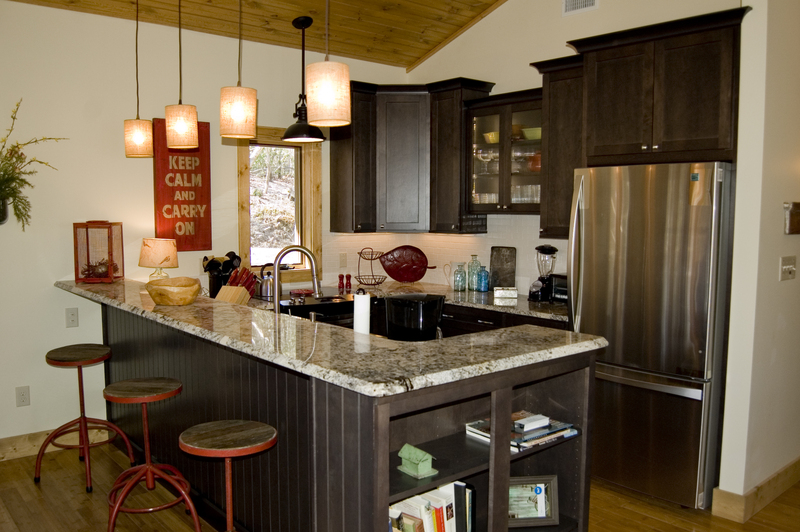 "This beautifully designed cabin has everything you could possibly need. We stayed here for several days after camping and canoeing on the New River, and it was so nice to be able to relax in the hot tub after throwing our camping clothes in the laundry. We enjoyed hanging out on the open air porch and watching the hummingbirds flutter by. The cabin is just next door to owners Michelle and Jack if we needed anything, but is remote enough to feel like you're all alone. The river is just a short walk down a wooded path, where we enjoyed some fishing and swimming. There is a game closet stocked with plenty of family activities. The kitchen is fully stocked with everything you would need (and more) to make an amazing meal to enjoy on the porch. We didn't end up using the outdoor fire pit and grill, or the fireplace inside, but definitely would have if we'd stayed longer. They've done a truly beautiful job with the design and decor of this special property, and we felt completely at home. It's in a great location, not far from Boone and Blowing Rock, and is also not too far from the Blue Ridge Parkway and some great hiking. We really couldn't have asked for more, except maybe a few more days of vacation to stay longer!"